Federal Aviation Administration / Flight Standards District Office; Portland, Maine. The student pilot's failure to maintain lateral control during a hover. The student pilot reported that, while hovering the helicopter, a wind gust picked up the helicopter and pushed it to the left. 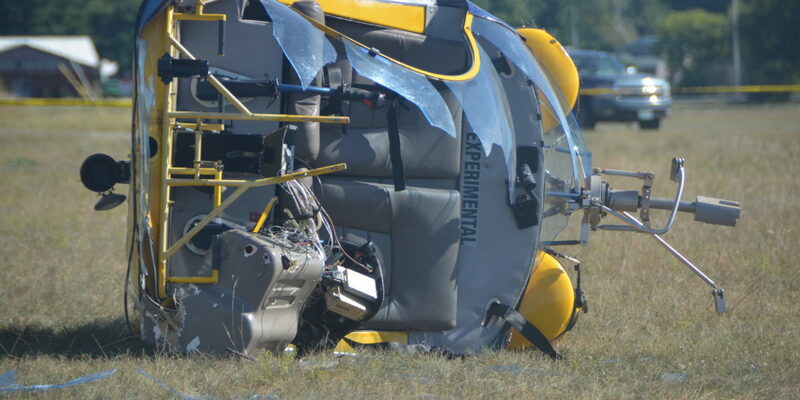 He attempted to recover, but the skid impacted the ground and the helicopter rolled onto its left side. The student pilot reported that there were no preaccident mechanical failures or malfunctions with the helicopter that would have precluded normal operation.